Sometimes, reinvention in music is borne out of necessity, and perpetuated by passion. It can be derivative of a piqued interest, a desire for newness, or a combination of the two. Musical reinvention — and the people who do it — often find a niche to which they become attached, and subsequently garner intrigue because of this. 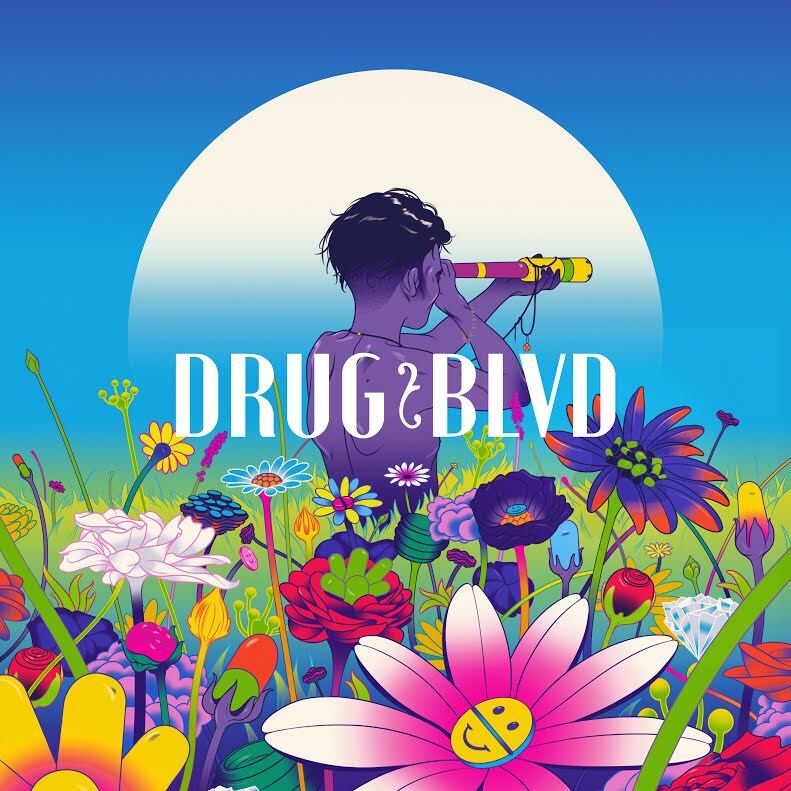 Turkish producer Kubilay Yigit, founder of the label Blue Soho, has decidedly turned to reinvention with his latest endeavor, Drug Boulevard. The Istanbul-based label formally released their debut compilation, titled DRUGBLVD., on February 17, and includes an impressive range of artists and songs. The compilation is a dreamy, funk-laden amalgamation of tunes from musicians like ACES, Astronautica, FMLYBND, and more. Atwood Magazine recently chatted with Yigit via email to learn more about his new project, and the vision and passion that fuels it. There is a tangible fluidity within DRUGBLVD., and Yigit reflects the compilation’s intrigue. Elucidating everything from the inspiration behind Drug Boulevard’s creation, to the effects of the Turkish socioeconomic climate on the project, Yigit maintains an enthusiastic confidence that leaves one feeling inspired. 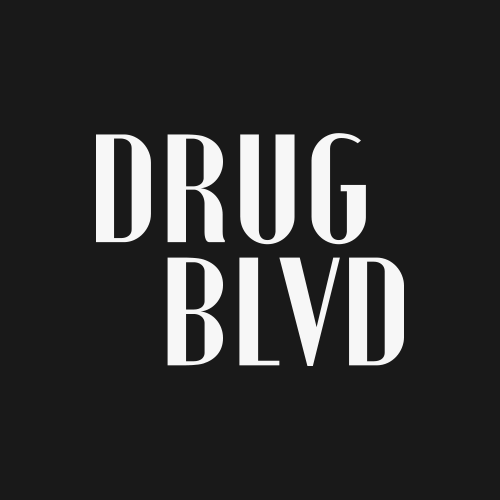 Atwood Magazine: How will Drug Boulevard differ from the Blue Soho label? Kubilay Yigit: They differ in many aspects. In a record company completely focused on dance music like Blue Soho, taking more radio airplay and gathering the support of famous DJs was useful for the sake of the track that was going to be released. In Drug Boulevard, instead of channeling it into somewhere, being able to incorporate different media organs to the promotion phase is a big advantage. Trance that Blue Soho has been addressing, yet more specifically the uplifting trance, remains pretty “niche” when you look at the music scene. When you focus on uplifting trance and when you add certain artists to your record company, it is quite possible for you to become well-known and gather followers. Anyone who especially listens to uplifting trance probably also follows artists and labels and somehow, wind up hearing about you. On the other hand, when you focus on the more popular styles such as the Drug Boulevard example, in spite of the quality of your work, it is not so easy to make your voice heard due to the “noise” in the scene. You need to provide a really good reason for people who might be your fans to follow you. Addressing a niche audience brings disadvantages, of course. It was impossible to try a new style with Blue Soho. For example, apart from pop or indie music, even techno or house music was enough to displease the followers. No matter what you do for a year, with a single track, it is always possible for you to be sell out. For this reason, on the basis of the followers, these two brands are quite different. Having fans with fanatic feelings may seem entertaining, but it is dangerous and restrictive as well. Kubilay: Two premiered tracks might be considered down-tempo, but there are collaborations from SRNO and MOONZz, a track from Leo Kalyan and FMLYBND – these tracks are quite energetic. In fact, I tried hard to ensure the balance of it, I am sure you will agree with me when you listen to remaining tracks. I believe that, promoting the label for a while by means of similar style work, then expanding this style range and with the help of different compilation series, protecting the initial style and adding something different on it will bring a really different ambiance. If there was one genre that could be specifically incorporated into Drug Boulevard in later compilations, what would it be? Kubilay: Giving a genre name directly is very tough but chances of witnessing darker, experimental and psychedelic stuff is not slim. What lessons were learned from Blue Soho, if any, that are helping shape Drug Boulevard? Kubilay: Frankly speaking, during my research on the DRUG BLVD album, on several occasions I made decisions in line with the experiences I gained from Blue Soho. Identifying a label with a particular genre may provide an advantage to you in the short term but in the long term, it may cause trouble. Rather than getting stuck in a particular genre, having a unique style offers quite a valuable advantage. In addition, I pushed the merchandise issue into the background in Blue Soho. This time, I intend to work with competent people and not to neglect this issue. I cannot say that a step is taken yet about this issue though! Since I have the “all-or-nothing” mentality on such issues, I do not want to bring a standard merchandise system. This attitude makes the realization of this issue difficult. What specific hurdles had to be overcome to fully complete this project? Kubilay: It is quite possible to talk about very concrete things. For example, many of the artists that you want to work with already have existing deals with another label, or most of them prefer to focus on their own album instead of lending a track to the compilation- they do not have reasons to work with you naturally. These are expected things for the first project, so having several alternative routes give you a lot of comfort in your first project. The thing that I can describe as the main “obstacle” is to accept the fact that you are starting over from scratch. You know that you will get into a period which is scary as well as exciting, exciting as well as debilitating and you know that you must be ready for it mentally. After eluding this point, there is always a solution to the remaining problems. How has the socio-economic/political/etc. climate of Turkey at the moment affected the creation of this project? Kubilay: It’s inspiringly affected in a “negative” way. First, let’s clarify this–if the economic situation of the country that you live in is constantly deteriorating and the artists that you are planning to work with are living abroad and you do not have unlimited financial resources, you will have difficulties in fully realizing such a project. Everything must be planned very well and you have to use your budget right. Turkey is a country which progressively goes backward, not only in an economic sense, but also in all areas, and as we understand from its management system, it is unlikely to get better in near future. As an individual, apart from all of the problems you face in such a country, being affected by this unfortunate aura and acknowledging the fact that you encounter all of these problems which you would not face with in an ideal world due to the position of your country, brings a negative effect no matter how hard you try. I would like to add that everyone whom I worked with on the project picks me up out of my region and takes me away to a different reality, their own reality. Therefore, although the creation the project is negatively affected by the state of the country, this creation process has reduced the negative impact level of my own country on me. The 8-month period of planning seemed like an exciting rehabilitation process with its challenges. Ultimately, you intertwine with the music and work with talented musicians, so there is no reason to not enjoy what you do at the end of the day. Follow-up: Has that climate influenced the final product? Kubilay: The project has been affected by the aforementioned negative events only at “progress” step of the road, however, I feel that the outcome that we have is as it should be, independent of these negative events. What is a long-term and short-term goal for Drug Boulevard to achieve? Kubilay: Within a year, to release two more albums on the level of a debut album, and ensure the continuation of the series. In the long run, to place the merchandise system as I mentioned in the first questions, initiate alternative compilation series where experimental works are represented, and keep the range of styles as broad as it could be. Although these short and long term plans target the future as of “today,” they are the phenomena whose validity can be completely changed with the news one could get tomorrow; however, I will try to pursue and carry out the things I have dreamed about from the very beginning. How were these tracks curated, and why? Kubilay: I worked on the selection of tracks on my own. I aimed at putting distinctive things that can appeal to all moods, are similar in style but different, in a sense. While providing the “balance” between the tracks in the compilations, you should be able to offer little hints about what you will serve in the future, and hence to plan both that moment and the future simultaneously. To ensure this taking the initiative in the selection of tracks is a crucial trait that will eventually lead to the emergence of what you have in your mind. At the end of the day, you do not have an A&R team working for you and you know very well that the list should be prepared by you. Is there a specific message or mission statement that Drug Boulevard tries to uphold? Kubilay: Infinity. I know that everyone I have worked with in the project believes in this. We do not put this into words and say “you, as well, think without limits, you do not believe in limits,” but we can feel quite easy. We hope reflecting this thought to our fans through upcoming projects will make this statement entrenched and more obvious to all eyes. If infinity is the mantra, then it is undeniable that Drug Boulevard is soaring to infinity and beyond. Drug Boulevard and the DRUGBLVD. compilation have matchlessly curated an infectious collection of wistful tracks that are simultaneously diverse and cooperative. Yigit and Drug Boulevard will undoubtedly continue to trek on into new and exciting adventures, and continue to represent reinvention in the best possible way.